When I first started blogging I had never even heard of a linky party and when I first stumbled across them I wondered how anyone had enough time to add that many links to their blog. Little did I know it was a super fun awesome party where bloggers get together for what is - when you get down to it - a big blogger 'show and tell' event. Anyway, if you're reading this I'm assuming you have a vague idea of what a party is. If it's a mystery to you leave me a comment or send me an email and I'll do my best to shed some light on them. 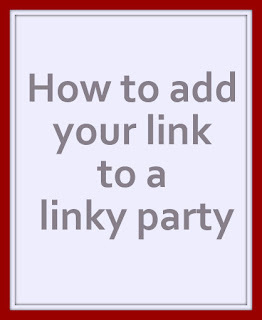 Here I'm going to try to explain HOW you link-up to a linky-party. When you get to the party scroll to the bottom of the post and there will be a little blue button that says ‘add your link’. Click it. 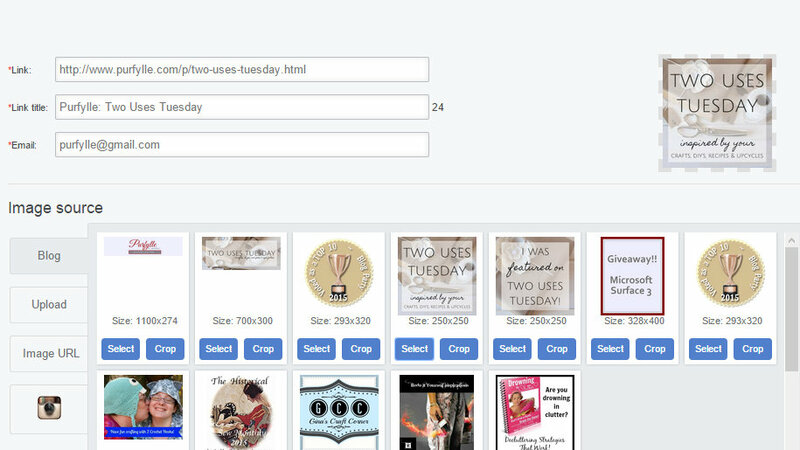 It will take you to a page where you get to add your post url, you will also need to give your link a title, so if the post you added was on how to sew a hem your title would probably be ‘How to Sew a Hem’. You will also need to provide an email address. 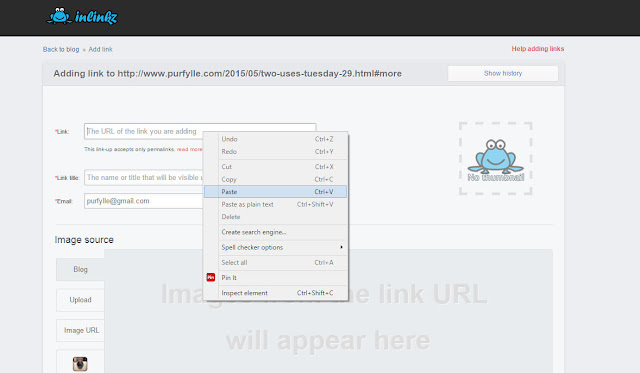 You will be given some images from your blog to choose from as the thumbnail picture you want to add. Just click on the one you want. 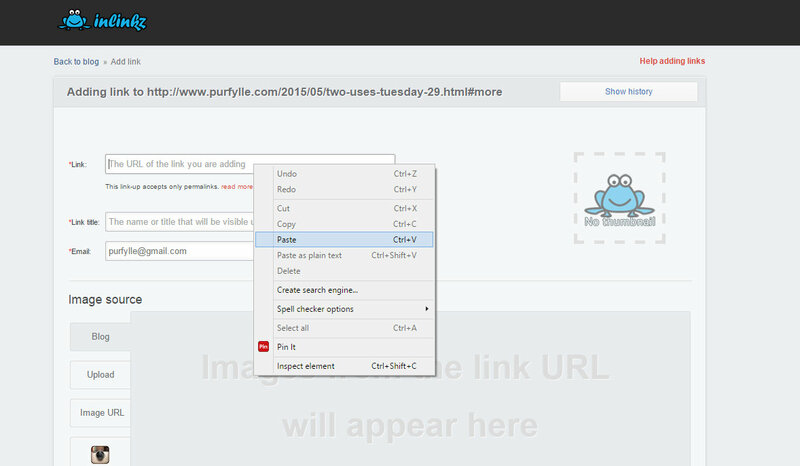 The image you select is displayed where the frog was in the top right hand corner. You can crop it differently if you want to. 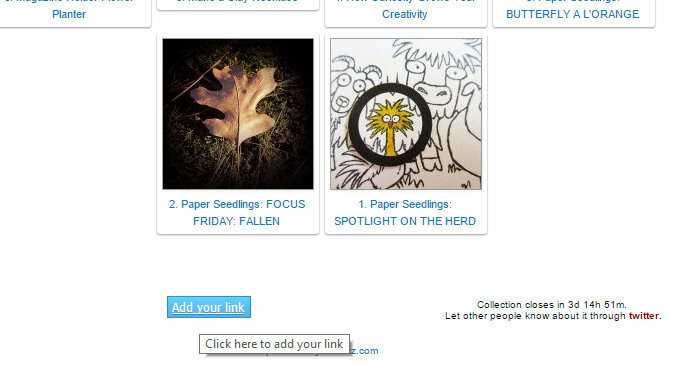 A preview of the crop is shown in the right hand corner again. Once you're happy with everything you just need to hit the 'done’ button a the bottom. 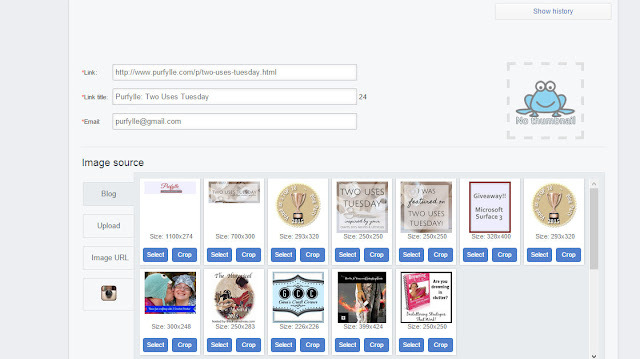 After the page redraws select ‘go back to the linkup’ to return to the party, or 'I want to add another link to the same linkup' and add your next post. 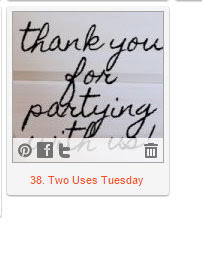 Do that for up to 3 posts you would like to add (some parties let you do more, some less). If you stuff up you can delete and start over. Return to the party, find your link, hover your mouse over the thumbnail and a trashcan will show up in the bottom right hand corner. 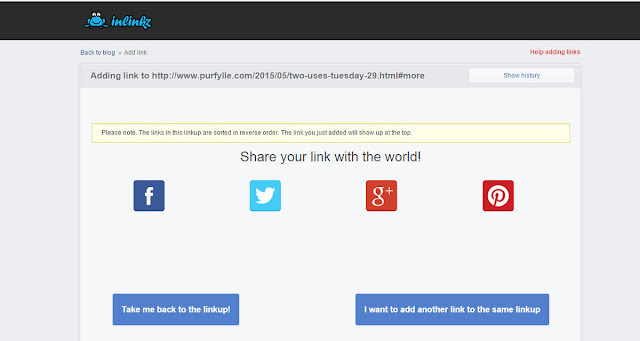 Click the trashcan to remove your link from the party. It's polite to thank your host in the comments (which will also give you a better chance at a feature spot the next week). 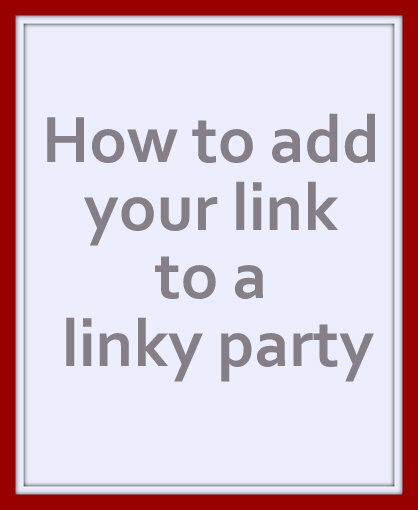 It is also polite to link back to the party on your own blog, usually by adding a text link or the party button in the post you've linked up, your side bar or in on a party page. Take a look at my party page to give you an idea of what one looks like or to find some great parties to attend. The code for adding the button should be just under the image ready for you to copy and paste it to your own party button spot. This is usually within the party post itself but sometimes it's on a separate page with a link to it. You only need to add the button once. 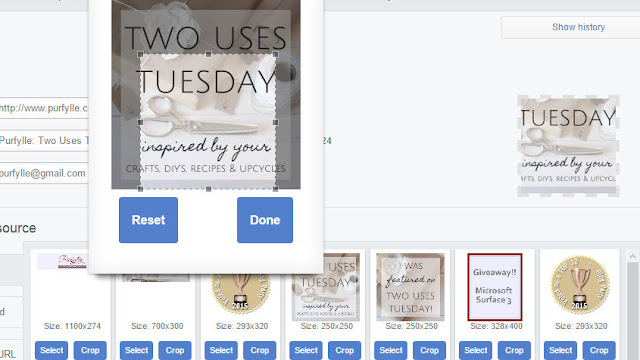 I have a page that is just for Two Uses Tuesday so you can find the buttons any time, but I also add them within the party so you don't have to go hunting for them. Once you've got a few parties you're going to regularly you'll want to start keeping track of them with your own linky party tracker. Finally, check out a few of the other links that have been added to the party and say hi while your there. While you're visiting anyway, use the opportunity to fill up your news feed with their great post and to like them on twitter or facebook or wherever you hang out, they just might follow you back. Most parties have guidelines and rules. For instance these are the rules for Two Uses Tuesday. I go to parties where the rules are fairly simple because I’m just not organised enough for the ones with lots of rules. 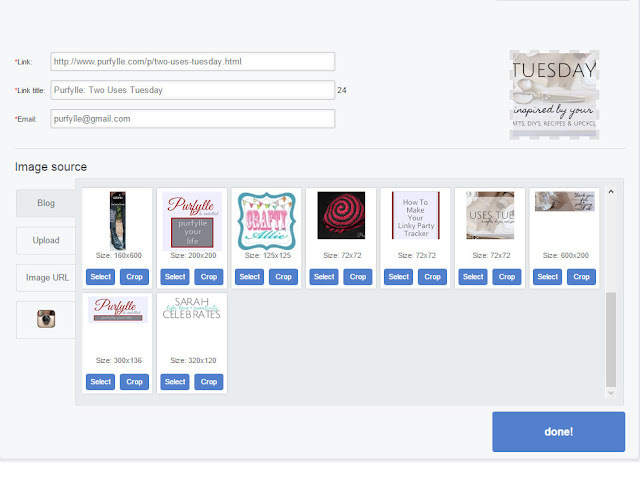 What if you've been featured? 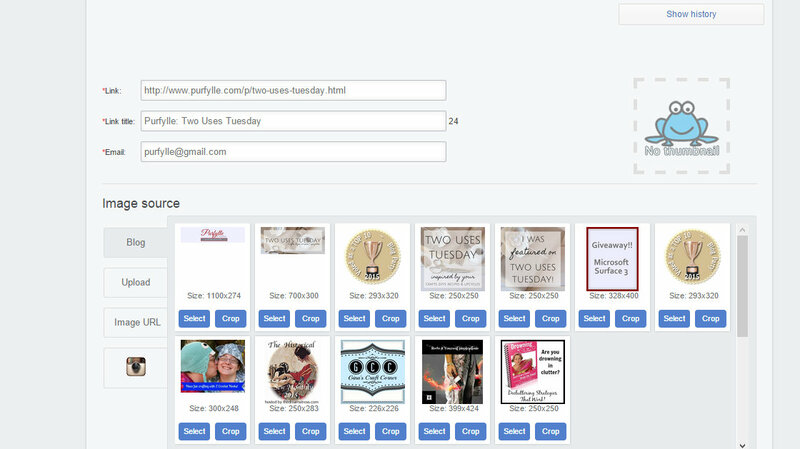 By linking up to a party you are usually providing the hosts with permission to share your post and to publish a picture from your post in their blog. This permission is necessary if they are going to feature your post at the next party for some extra exposure for your blog. It;s a good thing and hopefully will send some extra traffic to your blog. When my posts are featured at a party I like to grab the feature button and add it to the post that was featured. I co-hostTwo Uses Tuesday with our party host Sarah of Sarah Celebrates every week and YOUR invited! See you at the party! Great post! I need to get better at mingling. during the school year it's hard, so I'm really enjoying this time off right now. Thanks :o) Mingling isn't my strong point either. You keep pushing me to be better at Twitter! Thank you.